This post is for all my natural hair followers. 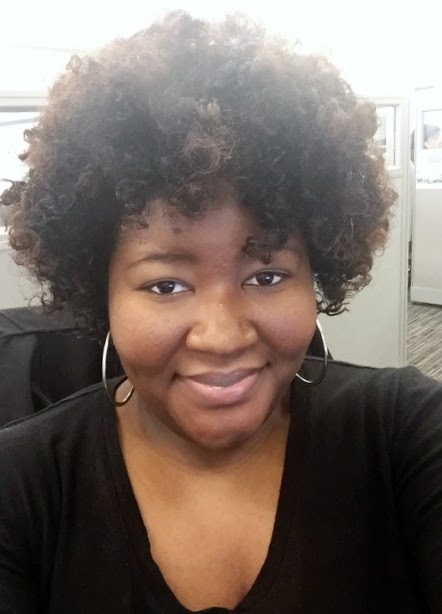 It has been almost 2 years since my BIG CHOP, and as a blogger I have never really talked about my natural hair process, my favorite products, and easy go to styles. I get so many compliments on my hair and I get asked all the time what products do I use and how does it grow so thick, so I decided to start including natural hair topics in my blog. Yesterday was my routine WASH DAY, which I usually do on a low key day when I have not solid plans, which is usually on a Sunday. My wash day process in itself only takes about an hour and a half. It's the styling and drying of my hair which takes forever. I'm not really a pre-poo type of natural, so I usually just dive right into washing my hair. 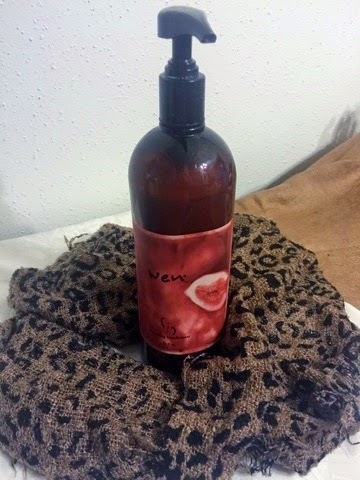 To wash my hair I use Wen's Fig Cleansing Conditioner which I absolutely love and have been using for about a year now. It's main purpose is to cleanse + condition and it does just that, while enhancing my curl pattern. Since I have pretty thick hair, it takes a lot to coat and cleanse. I squirt 30 pumps and work it into my hair for about 5 minutes and then rinse. I lather my hair again with the cleansing conditioner, detangle with a wide tooth comb, and cover with a plastic cap for 10 minutes and rinse. It is perfectly OK not to rinse out all of the conditioner because it works as a leave-in as well. After cleansing my hair, which I do once a week, I then deep condition, which I also do once a week or every time I cleanse my hair. 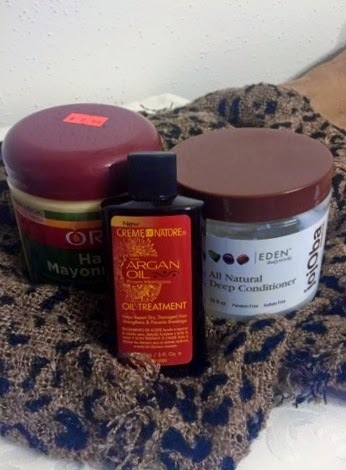 I mix and coat my hair with ORS Hair Mayonnaise, EDEN Body Works Deep Conditioner, and Cream of Nature Argan Oil Treatment. After coating and working this mixture through my hair, I cover with a plastic cap and sit under the dryer for 30 minutes, then rinse. 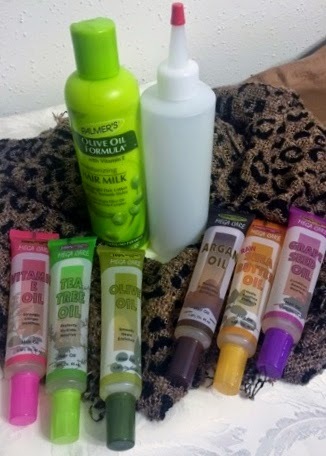 I usually leave a tiny bit of products in my hair because my hair drinks up moisture, so I can never have enough. My mom mentioned doing bantu knots with my hair, so I thought yesterday was perfect timing because I had no clue what style I wanted. She sectioned my hair into about 20 small sections and used Palmer's Olive Oil Formula Hair Milk to twist them into knots. After she finished my hair was white all over with hair milk. I sat under the hair dryer for 3 hours, covered my hair with a satin bonnet, and let my hair dry the rest of the night. This morning I unraveled the knots and separated them with my fingers, applied my essential oils and I was good to go! I look forward to sharing more of my natural hair and styling secrets...stay FABULOUS!